South Des Moines Swimming made more history in March as the team traveled up to the University of Minnesota to swim at the 2019 Midwest Regional Swim Meet. 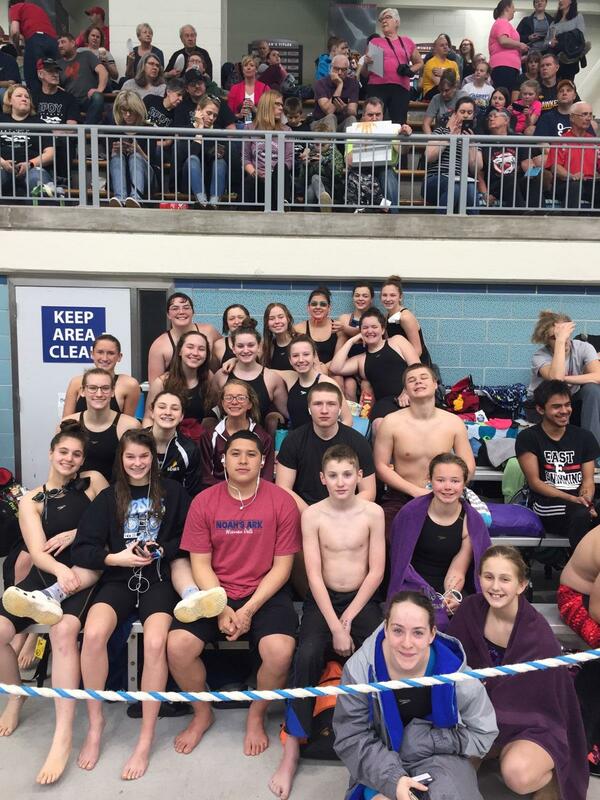 SDMS was again aiming to place in the top 15 of roughly 80 swim teams from seven different states. As the two day swim meet came to a close on Sunday, 3/24, swimmers from SDMS saw a team finish of 14th overall across the scoreboard. This means that South DM Swimming has placed in the top 15 overall at this massive swim meet for four consecutive years. On top of the great team finish, individual swimmers had a banner weekend. SDMS brought home three different champion events, including two relays. This is a first for the squad, winning one of the girls relay events, as SDMS had previously only won boys relay events in recent years. With an average percentage time drop of 3% across the board, the taper, hard work, and preparation of all of the SDMS swimmers, as young as 10 and as old as 17, paid off. Focus is now on training through the off season, high school seasons, and again aim at the 2020 Midwest Regional Meet which has been set for March 28-29, 2020. Great work SDMS and continue to focus on your future swim meets!